Education that saves lives! Training is available throughout Arizona! LBW Training Center is an authorized American Heart Association (AHA) training center for CPR, BLS, ACLS, & PALS. 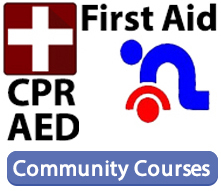 We also offer TNCC, ENPC, NRP, and community courses for CPR/AED & First Aid. Courses are offered in Mesa, Chandler, Scottsdale, Phoenix, Glendale, & Tucson, with daily classes in Tempe. Because an Emergency Can Occur ANYTIME…our community courses are designed for everyone. 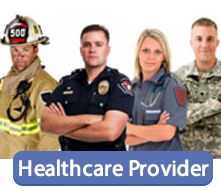 Are you a teacher, lifeguard, babysitter, parent, restaurant worker, retail sales, personal trainer, coach, or a security guard? If so, these courses are for you! We are pleased to offer a variety of both initial and renewal courses for American Heart Association BLS, ACLS, PALS, & NRP on a regular basis. We also offer review courses for EKG, CCRN, CEN, TNCC, ENPC and Critical Care. 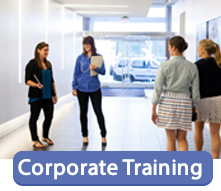 We offer a variety of corporate training options to keep your staff up-to-date and safe at work. We are happy to teach your staff onsite at your business. Our courses often meet a portion of your annual competencies for OSHA. 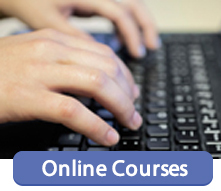 Take your course online in the comfort of your own home, then come to us for your skills session. Receive your AHA card upon successful completion. The skills session is available by appointment only. Please call (602) 283-0079 to schedule your appointment. Definitely would recommend to other colleagues! Frank was very informative, reinforced material in very engaging way – actually enjoyed class. This is my third class with Dr. Meser. Awesome! Great learning atmosphere! Teachers made it comfortable for class to ask questions and have a positive learning experience. Scarlett was a great educator with great ability to keep class attention and interest. Dr. Meser did an amazing job! Great explanations! Fun! Scarlett was great! She made sure to be clear about changes (to guidelines) and used useful scenarios when teaching. Learned more with the instructor’s interaction throughout the videos & manikin practice. It was a clean, spacious environment. Wonderful course – would return for other courses! Very professional and accommodating. Instructor kept the class interesting and took time to answer all questions thoroughly. The ease of getting into the class quickly was fantastic! I highly recommend LBW!